Because talk is cheap unless it's online, Facebook is teaming up with mobile partners to offer free or discounted data to people using Facebook Messaging. The social networking giant has signed up a number of partners across various territories to offer the service. 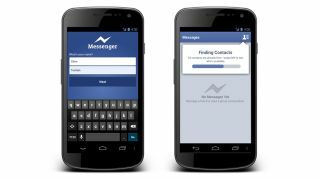 It will work on Facebook Messenger Android, for iOS and Facebook for Every Phone which is apparently optimized for chat. So which lucky people will soon find their data usage a little less expensive (assuming they are Facebook chatter of course)? Well there are 18 operators in 14 countries - none of which are the United Kingdom, the US or Australia. This is probably more important for smaller nations, where the cost of data is prohibitive - but it's nevertheless a nice move by Facebook. And lest you think that Facebook chat is not a major service in the grand scheme of things, apparently three out of every four people send a message on the platform every month.